Dr. Chelsea Himsworth received her DVM from the Western College of Veterinary Medicine, before staying on to complete a Masters of Veterinary Science and Senior Residency in Anatomic Pathology with a Wildlife Health focus. She went on to achieve Diplomate status with the American College of Veterinary Pathologists before completing her PhD in the School of Population and Public Health, University of British Columbia. Currently, she is a Diagnostic Pathologist and the Leader for Veterinary Science and Diagnostics at the Animal Health Centre, BC Ministry of Agriculture. 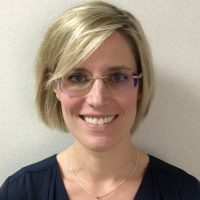 She is also the BC Regional Director for the Canadian Wildlife Health Cooperative and an Assistant Professor in the School of Population and Public Health, University of British Columbia. Dr. Himsworth’s research and practice is focused on the surveillance of infectious disease, particularly zoonotic disease (i.e., diseases transmitted from animals to people) and diseases involving free-ranging wildlife.